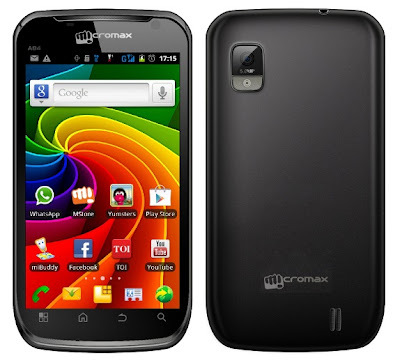 One of the best smartphone manufactures Micromax now launches new smartphone A84 Superfone Elite with average specification. A84 Superfone featuring 3.9" capacitive touchscreen runs with Android 2.3 Gingerbread and powered by 1GHz processor. A84 Superfone has 1630mAh battery capacity upto 5 hours of talk time stand by 150 hours. It has 5MP camera with LED flash and 0.3 front camera for video calling.